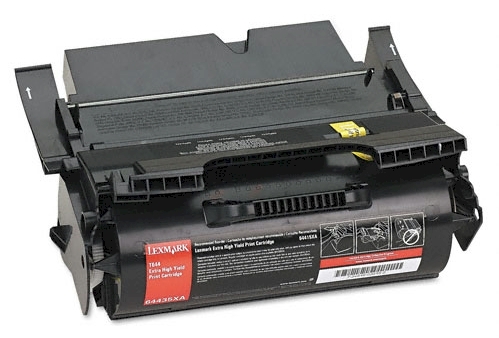 64435XA - Lexmark T644 Toner, Lexmark T644 Cartridge - This T644 toner, Lexmark T644dn toner is a high yield version of X644A11A, X644A21A, X644H01A, X644H11A, X644H21A, X644H41G. Print Technology: Compatible Lexmark T644 toner Cartridge. Page Yield: 32,000 @ 5% coverage, extra high yield. For use in T644, T644dn, T644dtn, T644tn, X642E, X644E, X644EF, X646E, X646DTE laser printers. Replaces part numbers 64435XA and X644X21A. Compatible with part numbers: 64080XW, X644X01A, X644X11A, X644X21A, X644X41G, 64404XA, 64415XA, 64435XA, 64475XA.